Although VIS USA encourages its distributor partners to perform belt fabrication like endlessing, V-guide and cleat attachments, special cover applications, perforations, etc. themselves, we do offer fabricated belts from our location as a customer support program. Every so often, we are asked by a distributor partner to support them with belt installations, particularly for special applications. VIS USA has friendly, experienced and reliable belt technicians who are capable of training installers for most any belt (whether ours or not), and for all kinds of equipment. VIS USA's engineering support is one of the most capable in the industry. 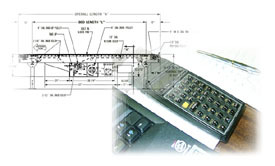 Application engineering services include design input for new equipment, analysis of existing systems and trouble shooting of applications with less than optimum belt performance. We are experts in optimizing belt system performance and operate nationwide with own or subcontracted specialists. A typical example of when engineering talent working at VIS USA is called upon is when reliable conveyor system performance counts the most. 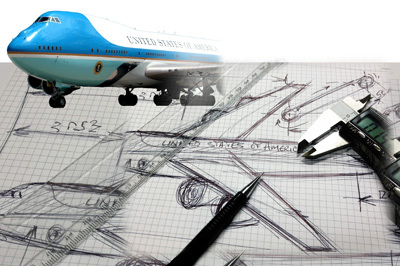 Having been selected to participate in the design and development aspects of an Air Force One conveyor concept shows the depth of know how that private and government entities can count upon when enlisting VIS USA for conveyor system design, performance analysis and maintenance aspects.